Let me say how much I love the Green Door – so much so that my informal women’s run group is called the Rice Pudding Runners, after the Green Door’s Rice Pudding. One cold winter day a few years ago, my friend Lynn and I ended a two hour run at the Green Door, where we devoured the rice pudding, and also some cookies. We thought the rice pudding tasted so good that other women should join us, hence the name and destination of runs to follow. Cook rice in water until very soft. Add apple juice and continue to cook for one hour. Place on a heat dispenser to avoid sticking. Keep at very low heat, stirring occasionally. 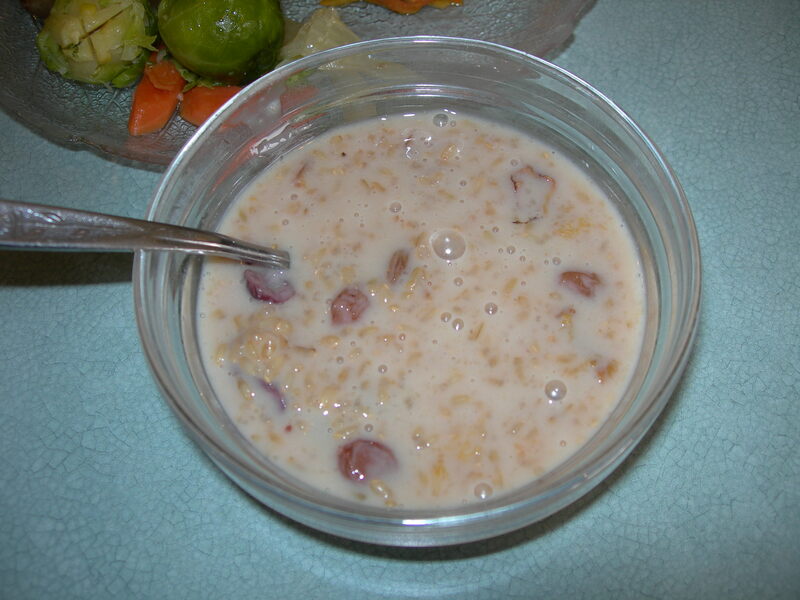 Add soy milk, raisins and dried fruit, and cook on low heat until the mixture boils. Take off heat and stir. Let sit for 1-2 hours. Mix dry ingredients together. Mix wet ingredients together. Combine wet and dry ingredients. Drop by tablespoon onto parchment paper lined cookie sheets and bake at 350 degrees F for 30-35 minutes until light brown (25 min. worked for me). I’ve made them many times at home, keeping some in the freezer for visitors, and taking them to other people’s potlucks. 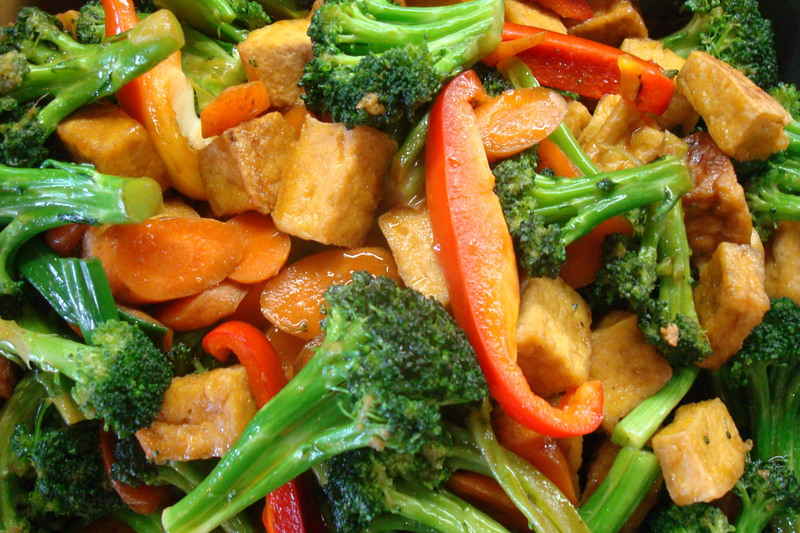 The Green Door's tofu vegetable stir fry. Photo by Ron Farmer. The latest edition of the Green Door Cookbook is now available for $21 plus GST + shipping. You can pick up a copy at the restaurant or it can be ordered by phone, fax or email. It can also be purchased using a credit card or by PayPal. Shipping and handling is by regular mail for $5. 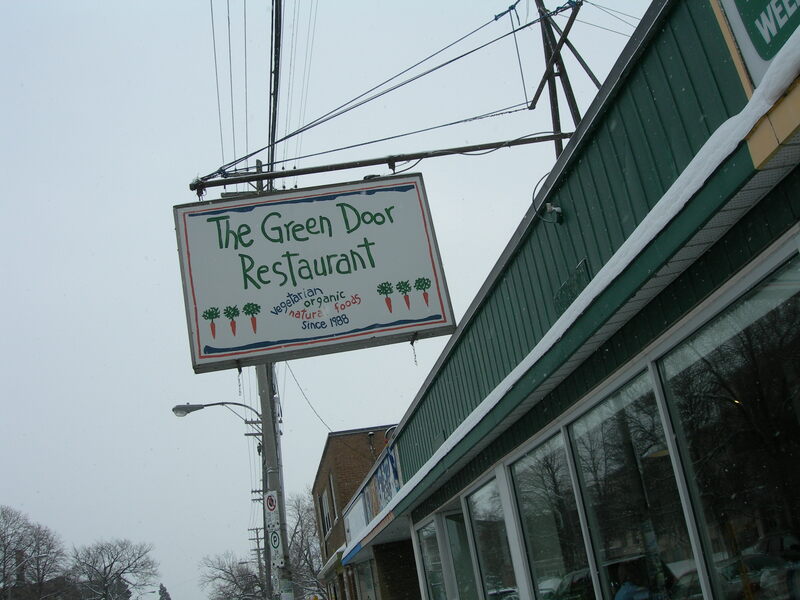 The Green Door is Ottawa's oldest vegetarian restaurant. I love all the food on the Green Door menu, and since it’s a self-serve pay-by-weight restaurant, I always want to overload my plate, not to mention my second plate for their wonderful desserts. There are many vegan options, and those that aren’t are appropriately labeled. On their website you’ll see the wide range of a typical daily menu with such delights as Red Lentil and Potato Soup, Tofu Vegetable Stirfry, Cauliflower and Potato Curry, Garlic Zucchini, and lots more. The Green Door is open Tuesday to Sunday, 11 a.m. to 9 p.m., so don’t show up Monday. It’s at 198 Main Street, across from St. Paul University, tel. 613-234-9597. See the menu on their Web site at www.thegreendoor.ca where you can download a 20 page information pamphlet.